If you expect to die soon, taking benefits right away to maximize return on your contributions to the Social Security system could reduce the survivor benefits your spouse receives. Photo courtesy of Steve Cole/E+ via Getty. 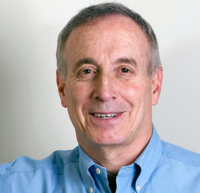 Larry Kotlikoff: The first question for this week is one I was asked in person by a 67-year-old married physician who told me he had terminal cancer and could live another five years at most. You could not meet a nicer or better man, and he’s facing his situation with joy for all the good he’s done and experienced and with determination to live out his remaining days helping others, all while living life to the fullest. Jean — Oklahoma City, Okla.: I am 70 and have been drawing my Social Security benefits since I was 62. My husband is 65 and started drawing his Social Security at age 62. Am I entitled to file for spousal benefits? Larry Kotlikoff: Yes, but your spousal benefit will equal your excess spousal benefit, which is calculated as the difference between half your husband’s full retirement benefit and 100 percent of your full retirement benefit. If this difference is negative, your excess spousal benefit will be zero. I’m assuming that you have told Social Security that you are married and provided them with the documentation they requested to verify your marital status. If this is the case, you should already be receiving your excess spousal benefit, which could well be zero. Peter DiToro — Brant Rock, Mass. : I am 65, hitting full Social Security retirement age this September. I am a vice president in customer services for a high-tech security company, paid accordingly. My wife just retired with 16 years in the Massachusetts Teacher Retirement System. My Social Security plus her pension will total about $46,000 per year. Our house is paid for, we have no debts, and we have about $1.1 million in various investments. Should I take my Social Security this September even though I plan to work through 2014? (I enjoy my job, for which I get to travel often). How are we positioned for retirement? My wife is 60, and we are both in good health as of now. (I recently tried to sell my $750,000 term life insurance policy on the viatical market with no takers). I estimate we need about $70,000 per year to live decently and can pretty easily take that out of our investments to top off my Social Security benefits and her teacher pension. However, that is nowhere near 80 percent of my income, so does that 80 percent rule only apply to lower income people? I mean, 80 percent of our pre-retirement income is a lot of money. Is this really a good guideline? I’d need another $4 million to even get near it. And that ain’t happening at this stage! So is a cool million with no debts, plus top end Social Security and a teacher pension a reasonable floor for retirement? Larry Kotlikoff: You should, I believe, wait until 70 to collect a 32 percent larger benefit in inflation-adjusted dollars for what sounds like a very long retirement. You should also consider working until 70. If you run a Social Security calculator program, you’ll likely discover that your benefits will be much larger, not just from waiting until 70 to collect, but because you’ve raised the level of your Averaged Indexed Monthly Earnings (AIME) that enter into the formula to determine your Primary Insurance Amount (PIA). Your PIA is your full retirement benefit if you take retirement benefits at full retirement. Otherwise, it’s hit by an early retirement reduction factor if you take benefits early (between 62 and full retirement age) or a delayed retirement credit factor if you take your benefits between full retirement and age 70. Now, let me put on my financial planner hat. I’ve been telling Paul he should let me answer general financial planning questions in this space, but he thinks we should stick to Social Security issues for now. Anyhow, the financial planning industry has been and is engaged in what I view to be financial malpractice. Their bait and switch approach involves convincing people like you that you need to have an 80 percent replacement rate; in other words, you need to have post-retirement income equal to 80 percent of your pre-retirement income. The industry comes up with this ratio via a three-page “actuarial analysis” that would merit a failing grade in any decent undergraduate economics course. It’s no surprise that the 80 percent figure is miles too high for most households. But having told you that you need that much post-retirement income, the financial industry next tells you that given how you are investing, saving what’s required will mean selling your first child. Now for the switch: The financial industry proceeds to give you a way out from saving more, namely investing better. Specifically, the industry advises you to invest in their high-yield (and, big surprise, high-fee) mutual funds to raise the probability of meeting “your” target. Economics has a different approach. It’s not based on selling you products or getting you to save too much or buy too much insurance. This approach, called consumption smoothing, has been around for almost 100 years, and in principle, it’s simple. The goal is to spend until the end at a level that won’t require you or your other household members to suffer a decline in their living standard. With the right mathematics — the type that’s embedded in my company’s ESPlannerBASIC software, which you can run for free, you can find out how much to spend each year now and in retirement. But, here’s the bad news, once you run the program, you’ll be dismayed at how few resources you and your wife actually have to handle what might end up being 80 years of retirement between the two of you. In other words, you’ll see that continuing to work, not shop, until you drop is the right mantra to adopt. 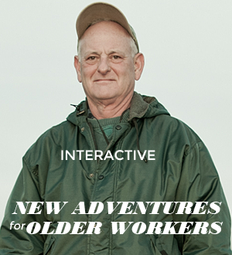 Sorry for the tough love, but the cool trips that come with your job will be around when you’re 80 as well. Gail — Clarkston, Mich.: I am 62 and my husband is 52. We have 11-year-old twins. My husband makes quite a bit of money and plans to work until he is between 60 and 62. My question is, because of the young children, when would it be most cost efficient for me to start collecting Social Security? Larry Kotlikoff: If, as I sense, you aren’t working but have worked for at least 40 quarters, you can start collecting early retirement benefits, making your children eligible for child benefits. Your husband would also be able to collect a spousal benefit on the basis of having a spouse that collects retirement benefits and having children under age 16. The totality of the benefits your family would collect on your work record would, however, be subject to the “family maximum benefit,” which I addressed here. But if your husband is a high earner, his earnings would wipe out his spousal benefit and also, via the family maximum benefit, diminish what your kids can collect. So it may not be optimal for your husband to apply for spousal benefits at all, assuming you do start collecting your early retirement benefit. Now, here comes the “big but.” This may not be your optimal strategy in terms of maximizing your lifetime benefits. It may be best for you to wait until full retirement age or even age 70 to collect much higher retirement benefits based on your earnings record. The only way to know is to run yourself through commercially available Social Security software. Raoof Syed — Carpentersville, Ill.: I will turn 66 in October 2013, when hopefully, I will be collecting full Social Security benefits. My wife will turn 62 in October 2013. We both have applied for the benefits. Her reduced benefit check will be a lot less than my 50 percent. Is she locked into that reduced amount for the rest of her life or can she reapply at 66 for 50 percent of my benefits? Larry Kotlikoff: If you do what you are doing, your wife will indeed be locked into a reduced retirement benefit, plus a reduced excess spousal benefit, which may be zero in her case. But she won’t be locked into this forever. At 66, when she reaches full retirement age, she can suspend her retirement benefit and start it up again at age 70 at a 32 percent higher real (inflation-adjusted) level. Between ages 66 and 70, she can continue to collect her permanently reduced excess spousal benefit, but again, that could be computed as zero. For it to be positive, her full retirement benefit has to be less than half of your full retirement benefit. The best strategy for you is likely one of two options. Here’s the first: She applies for her reduced retirement benefit at 62, and at that point, you apply just for your spousal benefit. This will equal half of her full retirement benefit. When you hit 70, you file for your retirement benefit, which will be 32 percent larger (because you waited to collect it) than if you began collecting it at 66. When you start collecting your retirement benefit, your wife will then become eligible for an excess spousal benefit, but again, this could be zero depending on the aforementioned conditions. The second option is that neither of you does anything for four years. When you are 70 and she is 66, you apply for your retirement benefit and she applies just for her full spousal benefit, which will equal half of your full retirement benefit. Because she won’t be filing for her own retirement benefit, and because she’ll at least be at full retirement age, the full spousal benefit and not the excess spousal benefit formula will apply. When she’s 70, she would then file for her own retirement benefit. Which strategy will maximize your lifetime benefits? Only commercially available software can say. Dale Kukla — Roscommon, Mich.: Thank you for this column. My wife and I will both turn 59 this year and anticipate retiring at 62 in three years. I know we should wait until 66 to collect benefits, but we are determined to retire. We have a 401K and a modest pension. I’m wondering, how can I best maximize my Social Security benefits? Should I file at 62 and suspend benefits until 66, while my wife collects her benefits at 62, to help offset health care costs until Medicare kicks in? Larry Kotlikoff: Unfortunately, what you propose isn’t permitted by Social Security. You can’t file for and suspend your retirement benefit until you reach full retirement age, which is 66. If you both file at 62, you’ll both be forced to take reduced retirement benefits on a permanent basis unless you suspend them after you reach full retirement age and start them up again at a higher value before or at age 70. (If you do this, make sure to pay your Medicare premiums out of pocket so Social Security doesn’t royally screw you as described in my nasty Social Security Gotchas column.) Moreover, if you both apply for early retirement benefits, whichever of you applies second (after the other has filed) will be forced to apply for a reduced excess spousal benefit, which may be calculated as zero. Whichever of you applies first won’t be forced to apply for a reduced excess spousal benefit and can wait until full retirement age to apply for an unreduced excess spousal benefit. But, again, the excess spousal benefit could be calculated to be zero. So, how about you two keep working through age 66, then have one of you file and suspend your retirement benefit? The other will collect a full spousal benefit for four years, and then you both can collect your retirement benefits at 70 when they will be up to 76 percent larger than if you collected them at 62. I realize that not everyone can work into their sixties, but if you can, you should. Life is long and retirement can be boring from what I gather.